Small Town America Photographs. 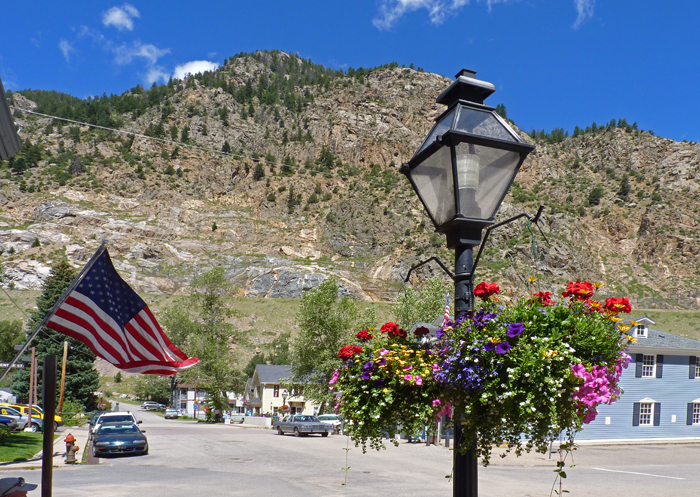 Georgetown, Colorado. 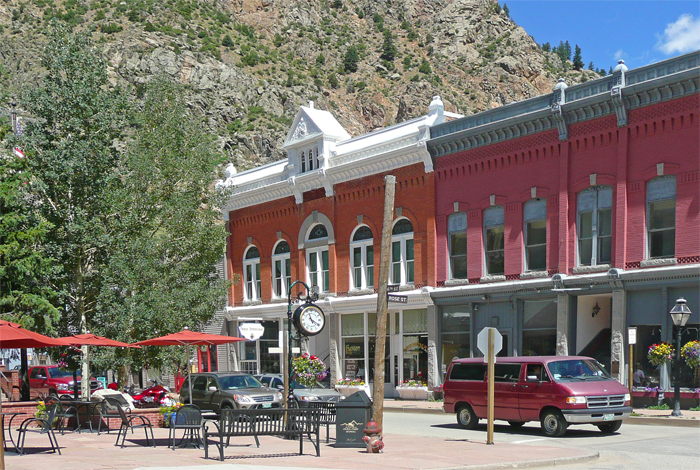 Georgetown, Colorado is about halfway across the state, and about one third down, and is the county seat of Clear Creek County. In 2000 the population of the town stood at 1,088. 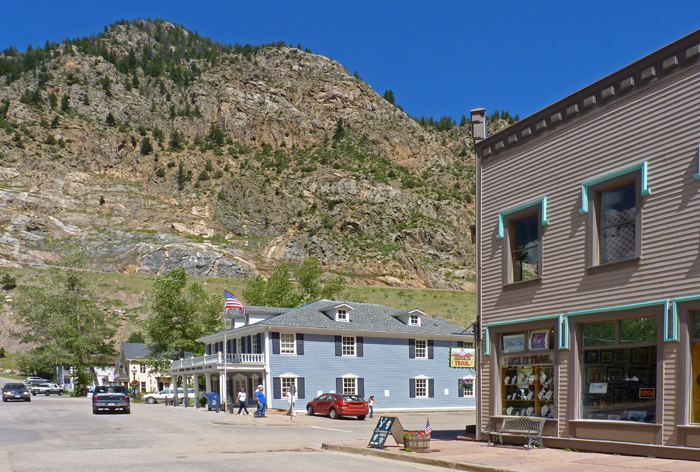 Known as the "Silver Queen of The Rockies", the town was established in 1859, and grew from a small mining camp into a busy silver-mining town. 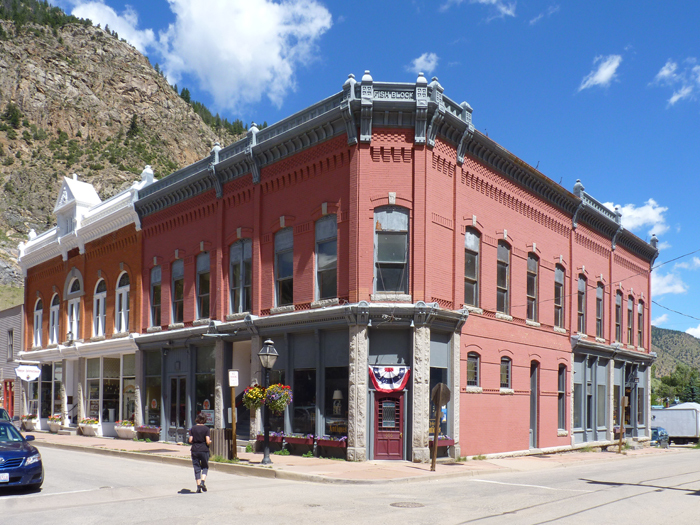 By the 1880s it was the third most populated town in Colorado. 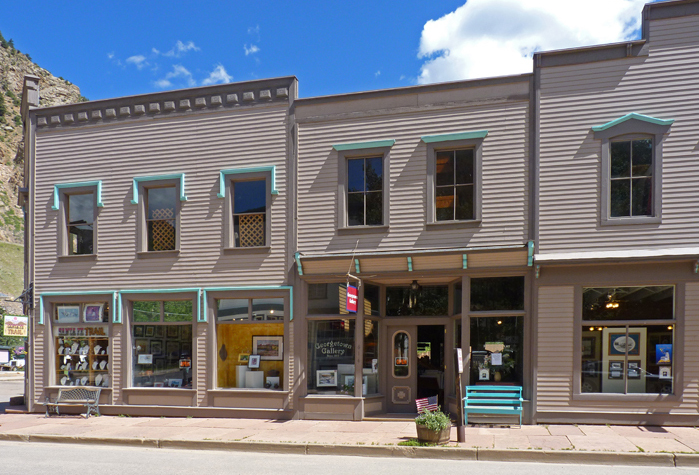 This legacy has left Georgetown with more than 200 historic Victorian buildings, and is now a National Historic Landmark District. Location of Georgetown in Colorado. General view towards the Post Office. Wood-boarded shops in the main street. 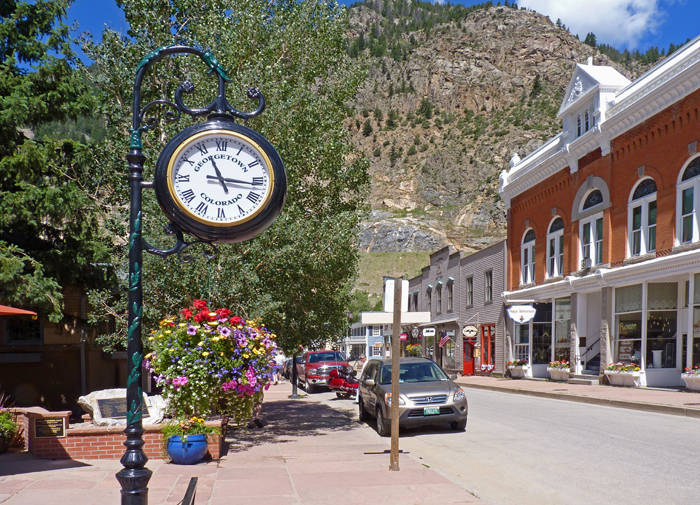 Pleasant view of the main street and town clock. 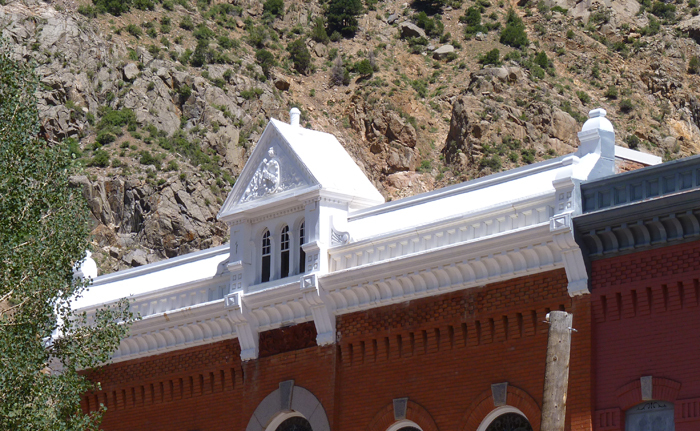 Victorian buildings are on every corner. Floral displays add the the beauty of the town. 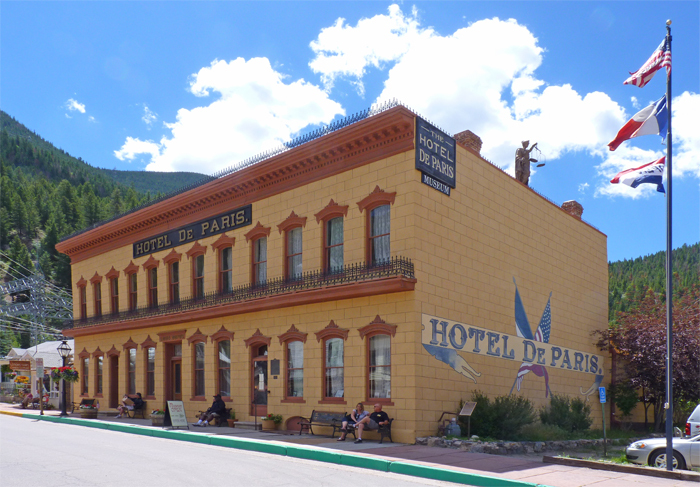 The Hotel de Paris was built by Frenchman Louis Dupuy in the 1870s. The hotel retains the original decor and furnishings, but is now a museum. 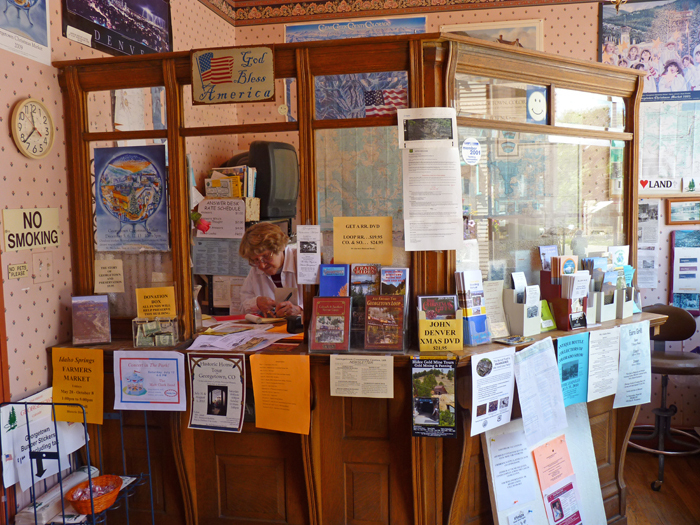 This is the interior of the Tourist Information Office. The wooden booth was part of the original town post office, but was brought here when the new post office opened. 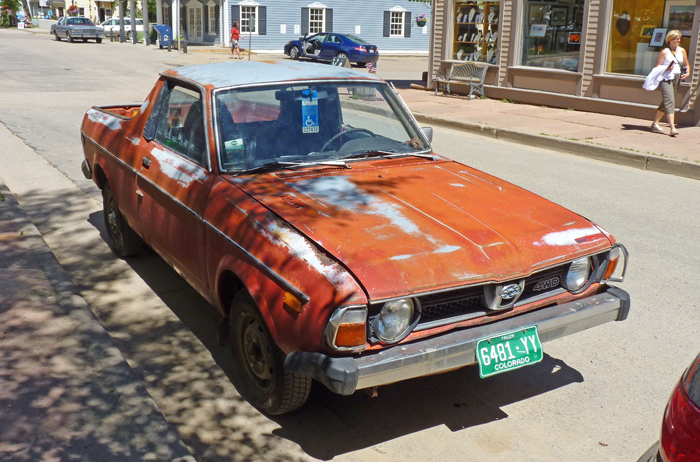 This vintage pickup truck was parked in the street. If fully renovated, the vehicle would demand a high price tag. 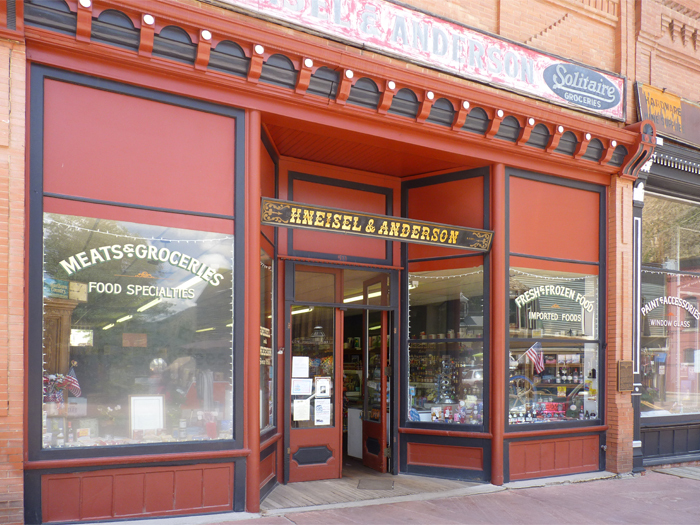 This grocery store retains an old fashioned layout inside, and is like taking a step back at least 50 years. 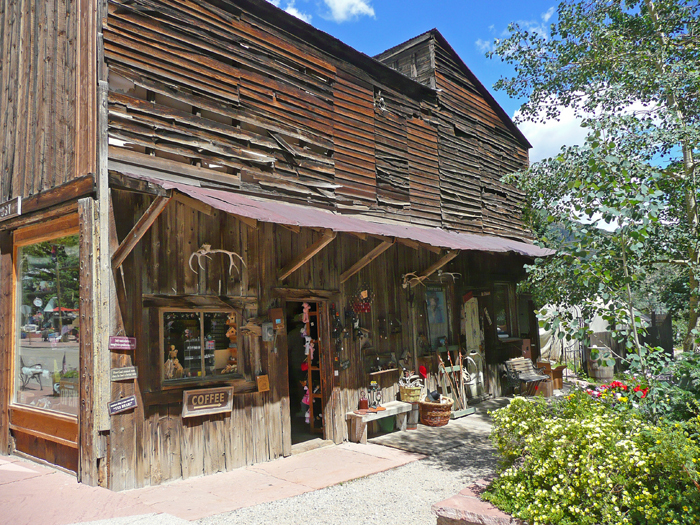 This wooden building is called The Trading Post. Now a souvenir shop, the weather boarding is in serious need of repair. The outdoor eating facilities give the area a continental feel. 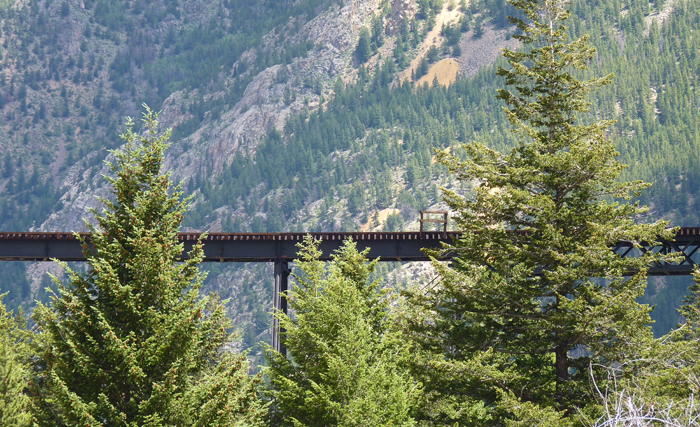 Just out of town is the Devil's Gate High Bridge, an engineering masterpiece opened in 1884.
the railroad now takes tourists on a 70-minute round trip. 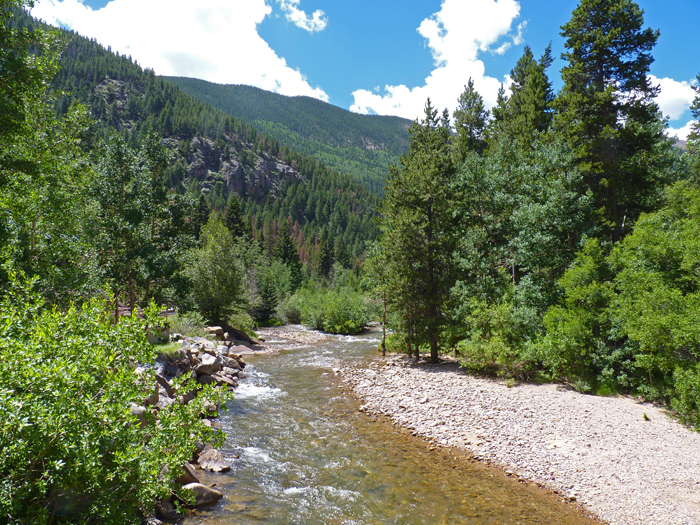 provided by the Boettcher Foundation. 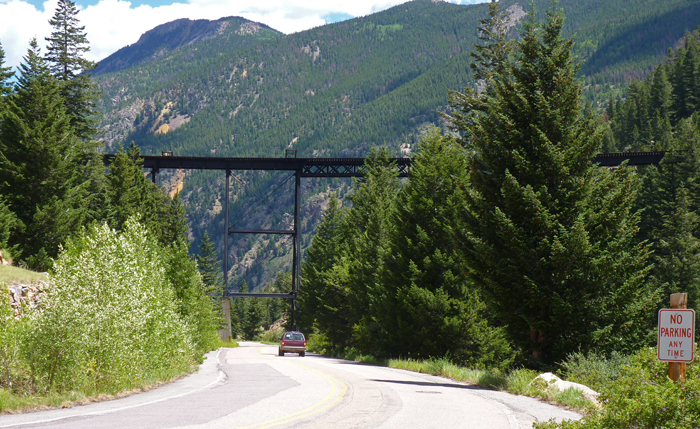 By the Devil's Gate Railroad Station is this exquisite Rocky Mountain view.